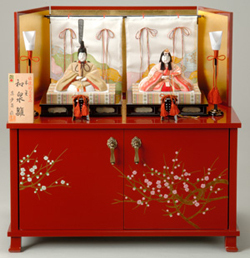 This hina dolls give the impretion of tenderness and gorgeousness by hungging up ragscreen on the folding screen. 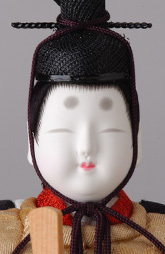 This decoration can be store into the box decorating the dolls. 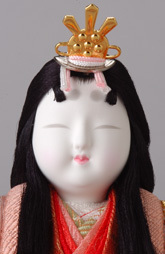 Izumi hina dolls Set is simple, yet very attractive.